RISCO has pioneered Cloud services for the intruder alarm industry. 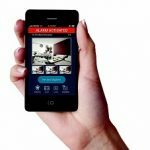 With several million dollars invested in their proprietary axesplus™ cloud based access control platform they were in a prime position to introduce cloud based monitoring and smartphone app control to the intruder alarm market. This is why they are leaps and bounds ahead of the competition with their award winning seamless technology, software and end user interfaces. In addition, unlike some of the other manufacturers that are trying to gain lost ground, introducing less robust app based products, RISCO have invested heavily in ensuring that your data is as safe and secure as it can possibly be by using the market leading Microsoft Azure, which is the most widely accredited cloud service platform in the world. – Live Video Verification of activations when VUpoint IP cameras are installed. – Assist in adding or deleting fobs. Both RISCO’s LightSYS2™ and Agility3™ intruder alarm systems are compatible with the RISCO Cloud service. To conclude, the RISCO Cloud service truly elevates intruder alarms to the smartphone age by offering enhanced everyday usability and functionality to the client as well as providing a fully managed service by the installer that will enable faster response whilst also potentially saving money from unnecessary call-outs and site visits. Coming soon: the RISCO Smart Home – a fully integrated home management solution for the ultimate streamlined lifestyle, managed by the RISCO Cloud and controlled by your iRISCO app. Compatible with your LightSYS2™ or Agility3™ intruder alarm system. Security First (UK) is a RISCO Group Solution Provider.